On behalf of all the members of the Bucyrus City Fire department, we would like to welcome you to our website. Our fire fighters are here on standby 24 hours a day, seven days a week, to help you in your time of need. It is our mission and our promise to provide our community members and visitors with fast, efficient and caring service. We take great pride in our abilities to serve you. We provide our community with well-trained Fire fighters and equipment that will meet our overall goal of improving the quality of life and safety to our residents and visitors. Besides offering fire suppression services, we offer services ranging from fire prevention, inspection, fire safety education, first responder, hazard material response, water rescue services and confined space rescue. We are focused on our core mission of “SERVING THE COMMUNITY”. We will always be prepared to respond. Thank you for taking the time to visit our website. Feel free to visit us in person. We would love to show you around. 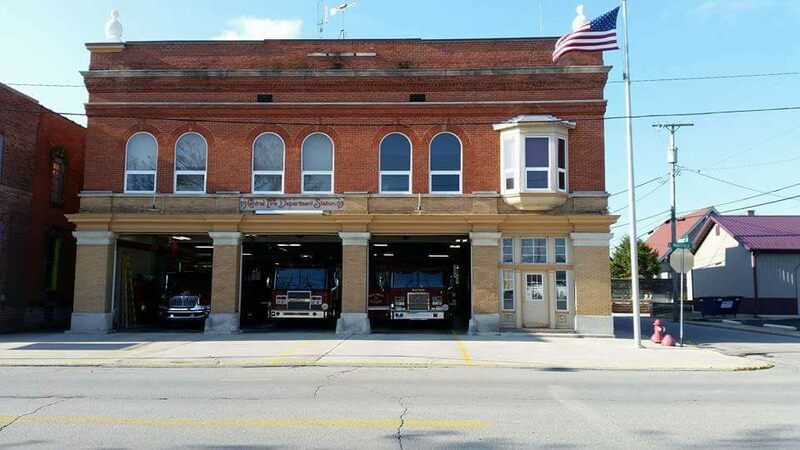 The Bucyrus Fire Department will endeavor to make the City of Bucyrus a community where our citizens feel safe to reside, by engaging the citizens in a partnership with the Fire department and using everyone’s wisdom, support and resources to solve concerns of the community. Please be aware of Bucyrus Codified Ordinance 1320, Removal or Repair of Premises Suffering Fire Damage. Please use the following procedure with any insured structure claiming fire damage. 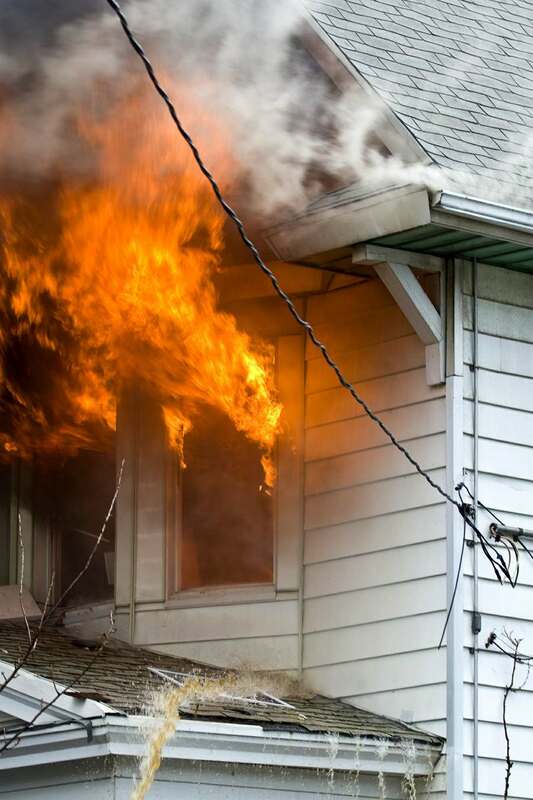 (a) When the loss agreed to between the named insured and the company equals or exceeds sixty percent (60%) of the aggregate limits of liability on all fire policies covering the building or structure, the insurance company in accordance with Ohio R.C. 715.26 (F) shall transfer from the insurance proceeds to the Fire Chief in the aggregate two thousand dollars ($2,000) for each fifteen thousand dollars ($15,000), and each fraction of that amount, of a claim; or, if at the time of a proof of loss agreed to between the named insured and the insurance company, the named insured has submitted a contractor's signed estimate of the costs of removing, repairing or securing the building or other structure, shall transfer from the insurance proceeds the amount specified in the estimate. Such transfer of proceeds shall be on a pro rata basis by all companies insuring the building or other structure. Policy proceeds remaining after the transfer to the City shall be disbursed in accordance with the policy terms. The named insured may submit a contractor's signed estimate of the costs of removing, repairing or securing the building or other structure after the transfer, and the designated officer shall return the amount of the fund in excess of the estimate to the named insured, provided that the City has not commenced to remove, repair or secure the building or other structure. proof received by the designated officer, if the City has not incurred any costs for such repairs, removal or securing. If the City incurs any costs for repairs, removal or securing of the building or other structure, such costs shall be paid from the fund and if excess funds remain, the City shall transfer the remaining funds to the named insured. Nothing in this section shall be construed to limit the ability of a municipal corporation to recover any deficiency under Ohio R.C. 715.261. Nothing in this section shall be construed to prohibit the municipal corporation and the named insured from entering into an agreement that permits the transfer of funds to the named insured if some other reasonable disposition of the damaged property has been negotiated. BCO 1320.02 SPECIAL FUND ESTABLISHED. There is hereby established a new City special fund to be known as the "Derelict Building Liability Fund" as the receptacle for funds received by the City from insurance companies insuring premises within the City suffering fire losses, as provided in this chapter. 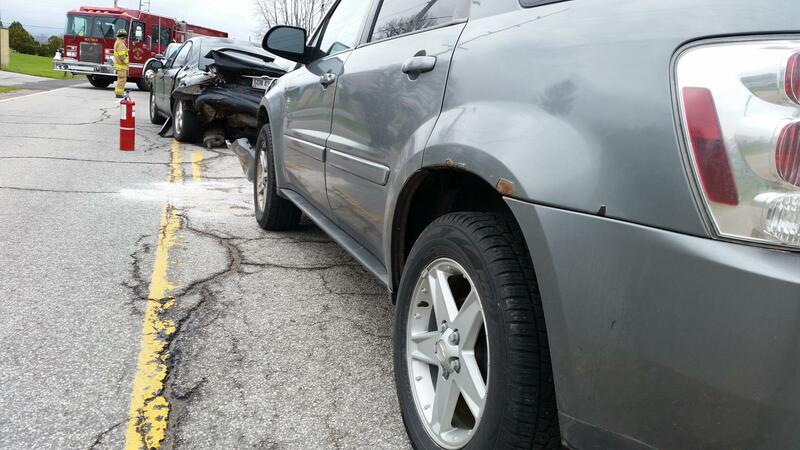 Bucyrus Engine 2 responded to a report of a two (2)-vehicle injury accident on Lincoln Highway. Lincoln Highway was shut down while theSheriff's Department, Bucyrus Police Department, Bucyrus Fire Department and Life Support treated the occupants of both vehicles and cleared the scene. One person was transported to Bucyrus Community Hospital. 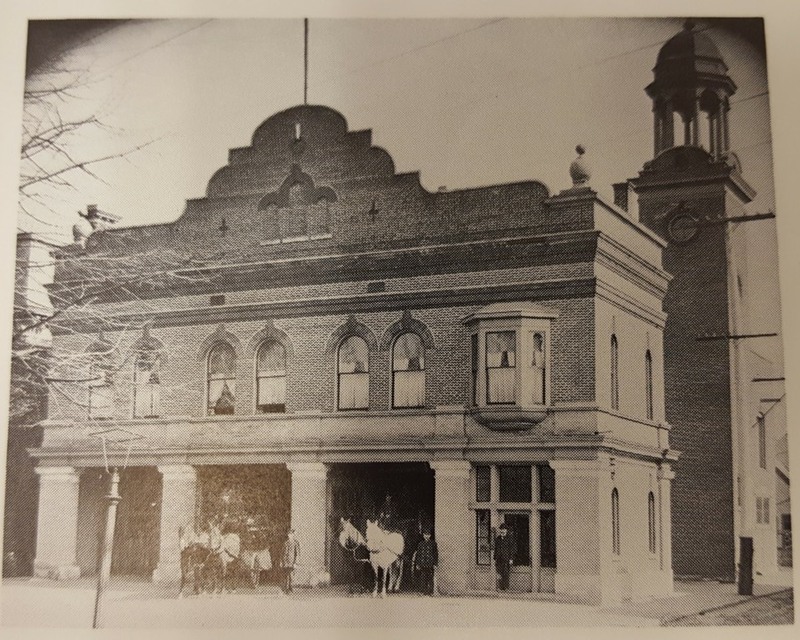 A view of the fire station circa 1906.